1. Modular designed for Sony A6300 Camera. 4. Add 17mm height based on the original handgrip for pinky support. 6. Features multiple 1/4”-20 threaded holes on the side for accessory attachment. 7. Full cover battery door with quick release button to change battery. 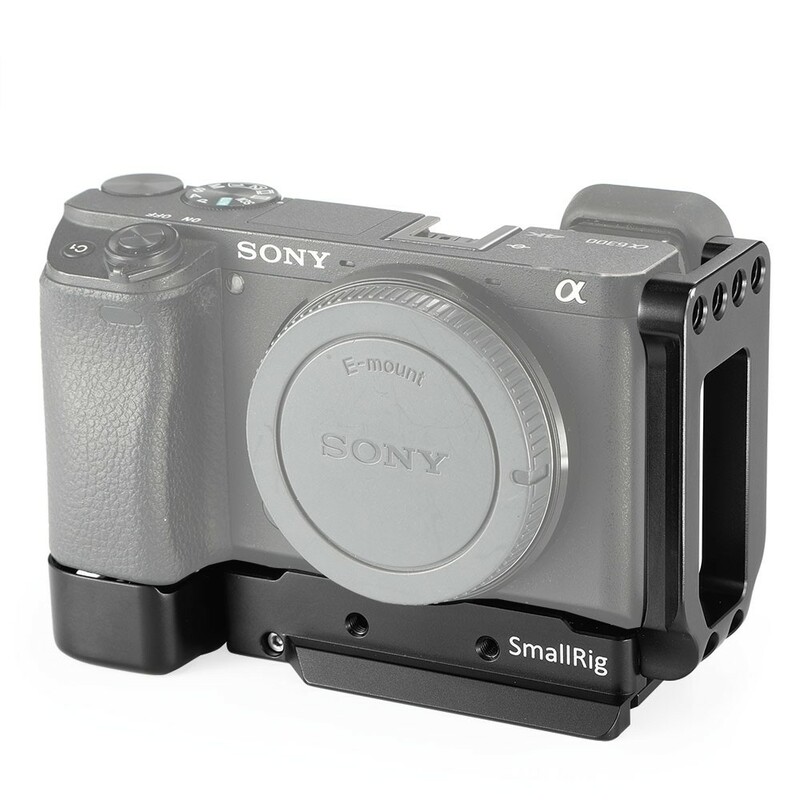 SmallRig L-Bracket for Sony A6300 2189 is a modular design with anti-twist flanges to keep the camera from twisting and provide a comfortable handheld shooting. Both the base plate and side plate are Arca-type compatible dovetails enable the camera to mount in a vertical or horizontal position and features a sensor centering line on each axis to align the camera on a tripod head. The side plate can be extend to left if more room is needed for tethering or cable release. The battery door can be opened via a quick release button to change battery. An included hex spanner on the bottom is used to tighten and adjust the L-bracket. Additionally, it is compatible with the Peak Design strap and include a hand strap loop on the right side. Furthermore, it features four 1/4"-20 mounting holes on the side and one on the bottom for accessory attachment, and two M4 threaded holes forMetabones lens adapter 1787.